(Text automatically translated) Two-storey house with terrace, located within the beach in Playa Lissa The terrace directly overlooks the sea and there is no road between. Very near playground and lifeguard. We had a lovely time and would stay in Santa Pola again. The apartment was cosy and had everthing that is needed for a month’s stay. The beds were very comfortable and the hosts were very helpful and were quick to reply to any queries we had. Thanks Amanda! It was nice having you as a guest. Hope to see you back at Santa Pola other time. "We enjoyed staying in the apartment.The location was ideal for rest on winter.The view from the windows was fantastic." Siento que hayas pasado frío. Si me lo hubiese dicho te habría acercado los radiadores. Nosotros estuvimos el fin de semana anterior y no hacían falta. Por la terraza, hay si que no te puedo aceptar la critica, por que el anuncio no dice que el apartamento tenga terraza. Sin embargo, si subes a la siguiente planta, tienes 120 metros de terraza para tomar el sol. Nette Vermieter und ein schöner Strand mit Nahe gelegenen Einkaufsmöglichkeiten. 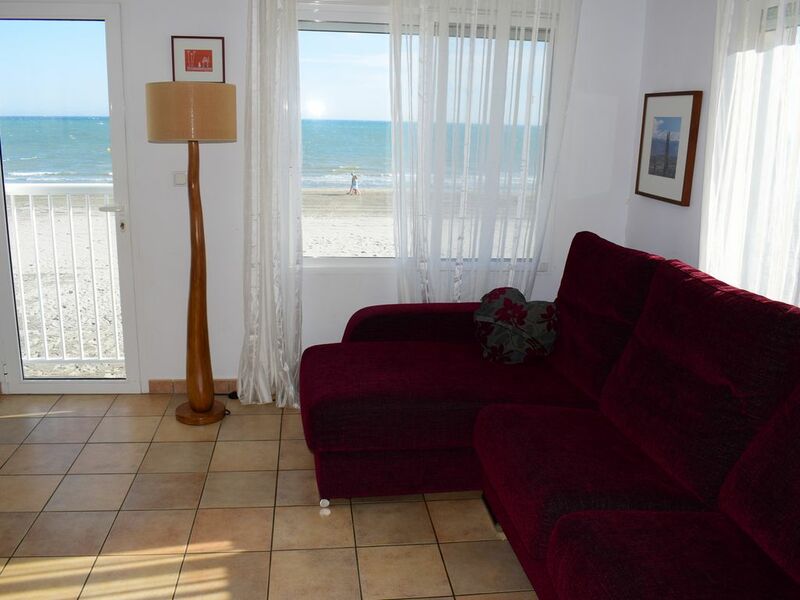 Sehr nette Vermieter, gut ausgestattete Ferienwohnung, genialer Blick auf's Meer. Super für Kinder geeignet. Wir waren zum zweiten Mal in der Wohnung und es war wieder toll. Tarifas decrecientes para largas estancias. Late Check in: ingresos posteriores a las 20 horas tendrán un cargo adicional de 30Euros. Late Check in: ingresos posteriores a las 23 horas tendrán un cargo adicional de 50Euros.